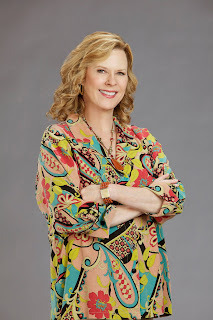 Celebrity Extra: Interview: JoBeth Williams Is "Uncorked"
Interview: JoBeth Williams Is "Uncorked"
JoBeth Williams, who got her big break in the biz playing Brandy Shelloe on “Guiding Light” and gained international success for her role in the supernatural thriller “Poltergeist,” is back on the small screen playing a winery owner in the Hallmark Channel original movie “Uncorked.” She co-stars alongside “Dexter’s” Julie Benz, Elliott Gould and Scott Elrod of “Men in Trees” fame. “Uncorked,” which is a romantic comedy about finding a passion that isn’t a paycheck, premieres Saturday, March 6 at 9 p.m. ET/PT, 8 p.m. CT (with encore showings throughout the weekend and the following week; see local listings for days and times). JoBeth could see a bit of herself in Sophia, telling me: “I could certainly relate to wanting the best for my child and to see him be happy. I’ve seen my own kids go through their own ups and downs, and as a mother, you want to make it better. For Sophia, I think that was her driving force, to help her son get over the loss of his wife.